We just published the latest issue of our Pulse magazine. If you’d like to update how we deliver Pulse to you, please keep reading. You have the option to receive Pulse by email, mail or both. Don’t forget to check out the online version of Pulse Fall 2015 on your desktop, tablet or mobile device and share your favorite article. Computer science alumna Sarah Guthals showed off LearnToMod, the software that she and fellow computer science Ph.D. Stephen Foster developed, today at the UC San Diego Bookstore. The software allows students to learn computer programming while playing Minecraft. Guthals demonstrated how students could create wands that generate giant digital explosions inside of Minecraft and that allow players to teleport inside the game. 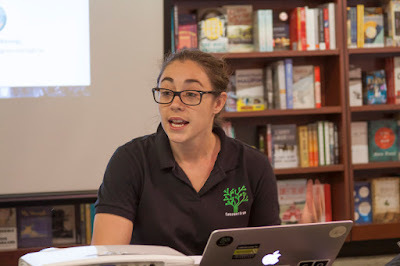 After the event, Guthals signed copies of "Minecraft Modding for Kids for Dummies," the book she co-wrote with Foster and Lindsey Handley, a biochemistry Ph.D. at UC San Diego. Guthals, Foster and Handley co-founded ThoughtSTEM, a company dedicated to teaching children how to code. 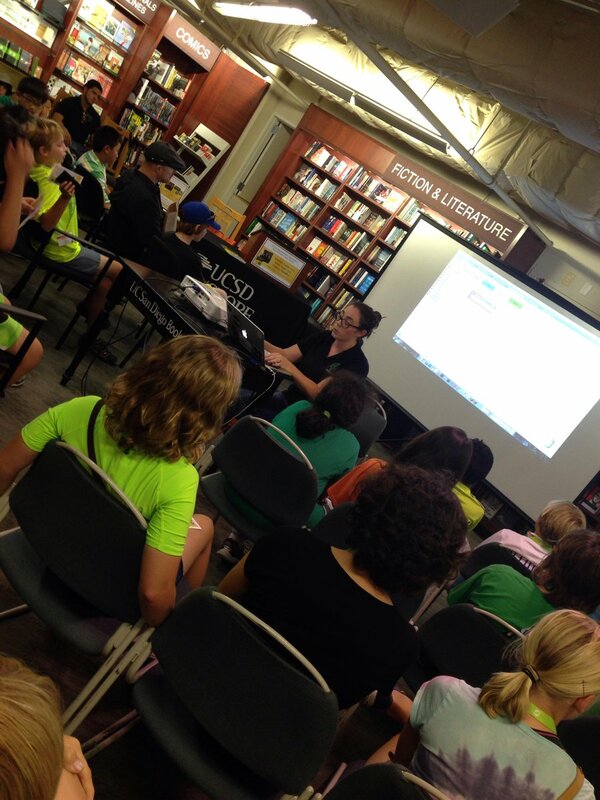 It offers everything from summer camps, to after school programs.
.@LTM4Educators @LearnToMOD & @sarahguthals demo #minecraft modding for kids @UCSanDiego @ucsdbookstore! 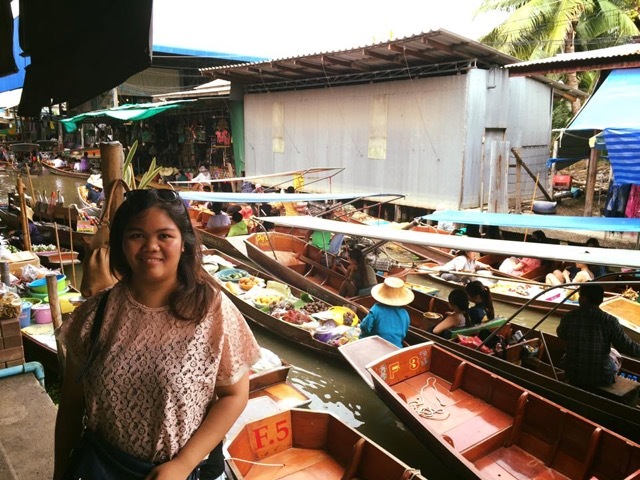 From Cebu, Philippines, chemical engineering student Regina Caluya has focused her education and career towards making a strong social impact through science and engineering. At the age of 18, Regina emigrated to the States with her family in 2009 and enrolled at UC San Diego as a transfer student in 2013. 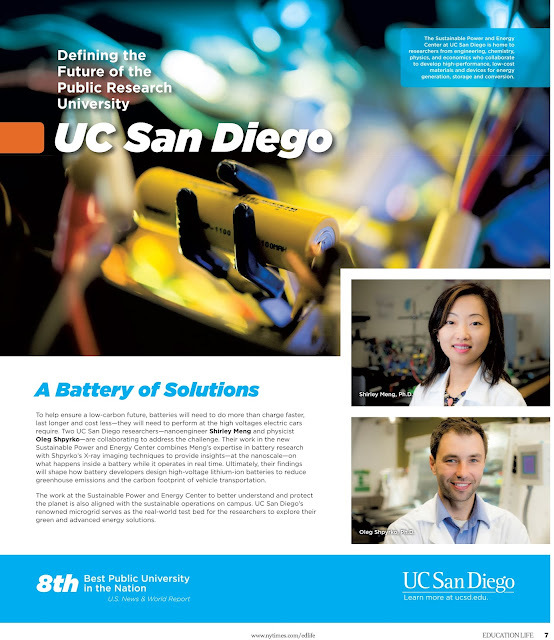 At UCSD, Regina has been involved in Global Teams in Engineering Service (Global TIES) and the UC San Diego chapter of American Institute of Chemical Engineers (AIChe at UCSD), specifically the Chem E Car project to construct a small chemically powered car. 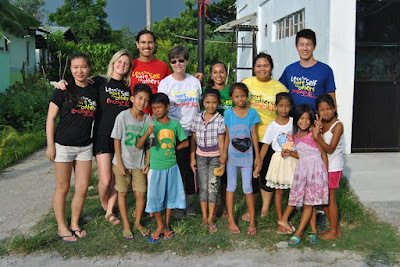 with local Filipinos at the Enchanted Farm. After graduation, Regina hopes to work for a renewable energy company, but for her last year at UCSD, Regina sees herself continuing her work with AIChe and OVP. This year, OVP has plans to pursue a brand new sustainable project, possibly one that involves relieving the whole Enchanted Farm community’s reliance on the grid. To learn more about the Global TIES One Village Philippines Project, read here. Wearless Tech, Inc., a San Francisco/San Diego startup with its roots in the University of California, San Diego’s Computer Science and Engineering department, was invited to showcase their first product – a wellness video baby monitor – in the first-ever White House Demo Day on August 4, 2015. The event was hosted by President Obama and brought in innovators from across the country, including the co-founders of Wearless Tech, Rubi Sanchez, Siva Nattamai, and UC San Diego computer science alumnus Pavan Kumar Pavagada Nagaraja, MS ‘15. Nattamai and Sanchez first met at a hackathon where they had the idea for a baby monitor that could detect a baby’s heartbeat without any wearable sensors attached. After interviewing a number of parents, the pair realized that the need was greater – a monitor that can non-invasively detect the baby’s heart rate, respiration and temperature and then send an alert when something isn’t right. That’s when UC San Diego computer science and engineering graduate student Pavan Kumar, now an alumnus and currently employed as researcher in the Computer Science and Engineering Department, joined the team as a software developer. Together, the three co-founded Wearless Tech, Inc. and began work on what would become their first product – Cocoon Cam. Once it receives the video feed, the software amplifies and quantifies the color changes in the baby’s skin and the movement of the baby’s chest. From there, a notification is sent to the parents’ smartphone app alerting them to changes in the baby’s heart rate, respiration and temperature. Cocoon Cam can be pre-ordered beginning in October. Wearless Tech is currently continuing its collaboration with UC San Diego and Weibel to conduct field patient studies in both clinical and in-home environments. In the future, the company plans to develop intelligent video camera systems that provide continuous, non-contact and non-invasive vital sign monitoring for Neonatal and Pediatric Intensive Care Units (NICUs/PICUs) and Emergency Rooms (ERs). The technology promises to reduce false alarms and alarm fatigue in critical care environments, and the team plans to test its efficacy through an NSF grant for which they applied in collaboration with UC San Diego’s Computer Science and Engineering and Pediatrics departments in early summer 2015. Other areas under development include post-surgery and eldercare monitoring as well as enhanced screening for security applications. Interested in supporting Cocoon Cam? Visit https://www.cocooncam.com. Read about Wearless Tech's journey to the White House here. Describe SD Hacks in your own words. SD Hacks is an opportunity for undergraduates to try new things and learn by doing. It's where we encourage you to build anything and everything, with only your imagination stopping you. We've done everything we can to have top notch mentors and resources present - that leaves the students to simply work their magic. We expect everyone to leave the event with something built and something learned. And then, after the event, we hope the hackathon never really stops for them - hopefully we kindled something deeper, and our hackers keep learning and building whatever they can dream up. What: A 36-hour-long hackathon, and we'll be providing meals the whole event. Prizes will be offered by industry-leading companies who want to foster innovation in the new generation. Why: I wanted to bring a hackathon to UC San Diego because we are home to some of the best and brightest – why should they have to go elsewhere to use their talents? Are there any important dates we should know about? Registration opened June 15th, and will be closing in late August. So far, there are nearly 1,500 students registered. We still have room for more – and we’re still looking for sponsors to offer prizes. WHAT IS A HACKATHON? A hackathon is an event, typically lasting several days, in which a large number of people meet to engage in collaborative computer programming. WHO CAN ATTEND? We welcome any and all undergraduate students from any university to attend SD Hacks. HOW BIG ARE THE TEAMS? Teams can be as large as you’d like, but only groups of up to 4 people are eligible for all prizes and team-based travel reimbursement. WHAT IF I DON'T HAVE A TEAM? No problem! We'll be having a mixer right before the hack so that you can team up. No one has to hack alone. HOW MUCH DOES IT COST? The event is free to undergraduate students who make it through our registration process. Food, electricity, internet, and all other necessary equipment for your development process will be provided. HOW DO I GET TO THE EVENT? Several students will be awarded direct travel reimbursements, and there will be free bussing from major locations around California. WHAT IF I HAVE A QUESTION NOT ANSWERED HERE? Feel free to contact our team by sending an email to support@sdhacks.io! SDHacks was sponsored in part by the generous support of Qualcomm Incorporated, the UC San Diego Computer Science and Engineering Department, the UC San Diego Jacobs School of Engineering, ViaSat, Perkins Coie, Cubic Corporation, iBoss Cybersecurity, Drakontas Consulting, Space and Naval Warfare Systems Center Pacific (SSC Pacific), leidos, ESET namecheap, Microsoft, IBM, Touch Tiles, Facebook, Slice, the Cyber Center of Excellence and Praxis. Interested in sponsoring? Send an email to sponsor@sdhacks.io.